Xbox LIVE Wednesday is Here! 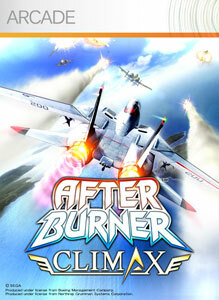 "Take to the skies and experience blazing speeds in the world’s fastest fighter jets in After Burner Climax!" "Enter the dark and savage lands of the Ashurin Empire as you battle to avenge the atrocities the Empire brought upon your tribesmen. On your heroic quest to topple the Empire you will fight fierce beasts and battle hardened warriors in this new Puzzle RPG hybrid game. Featuring an active puzzle combat mechanic, deep story, and robust character development Puzzle Chronicles will bring you into the next era of Puzzle RPGs."